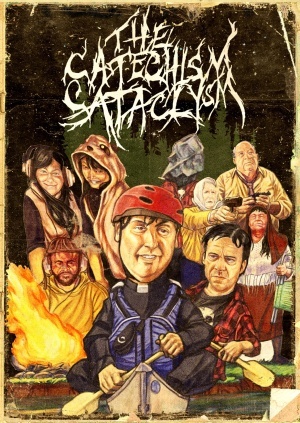 It was included in Cinedelphia’s Top 10 of 2011 and I’m pleased to say that The Catechism Cataclysm is just as uncomfortable and audacious as it was upon my first viewing at last year’s Cinefest (it didn’t receive a theatrical run in the Philly-area, but was available on VOD for a while). The Awesome Fest celebrate the film’s upcoming DVD release with a screening at the Trocadero this Monday at 8:00 PM ($3 admission goes towards a drink). We were generously given three copies of the DVD to give away to Cinedelphia readers. Just e-mail us your mailing address and we’ll choose the winners at random on Tuesday, March 28. And remember, DVDs are great and all, but certain films are best experienced with a crowd, something that the Awesome Fest certainly understands.